The web modeller or Thin Client Modeller was introduced with BICS and OAC respectively, to allow a more agile metadata modelling. The thin Client modeller does not provide the same level of modelling functionality compared to the “classic” .rpd metadata model. 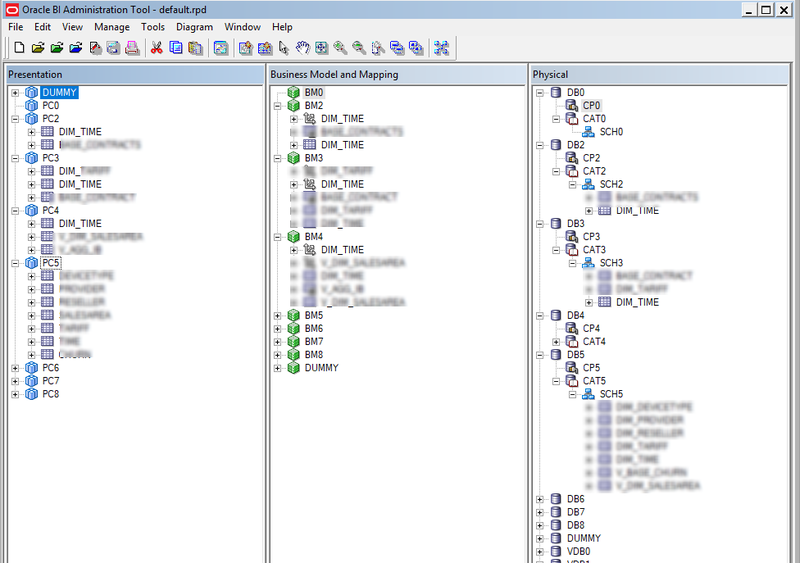 Additionally, with the current release of OAC only one modelling approach is supported. Thus, only the thin client model or the classical model can be deployed as metadata at a time. Hence, the might be a scenario for switching from the thin client modeller (web modeller) to the classic .rpd model to support more complex metadata modelling. 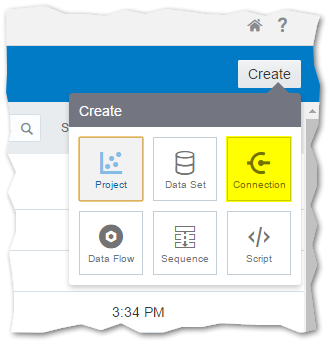 When clicking on a option menu right to the Snapshots, the Console allows to download the snapshot as .bar file. Once the .bar file is downloaded (after assining a password to protect the downloaded file), the file can be opened with a Archive Tool such as 7z. 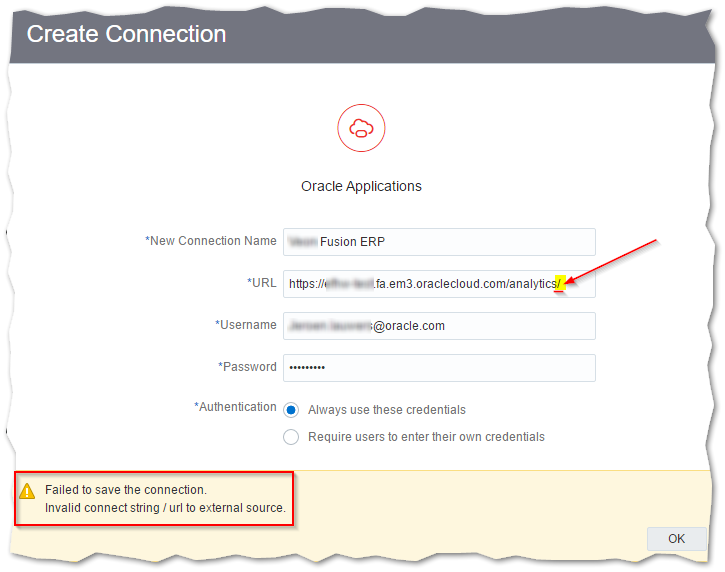 The following is a step-by-step guide to determine the Connection string for Oracle Analytics Cloud and Oracle Database Cloud. 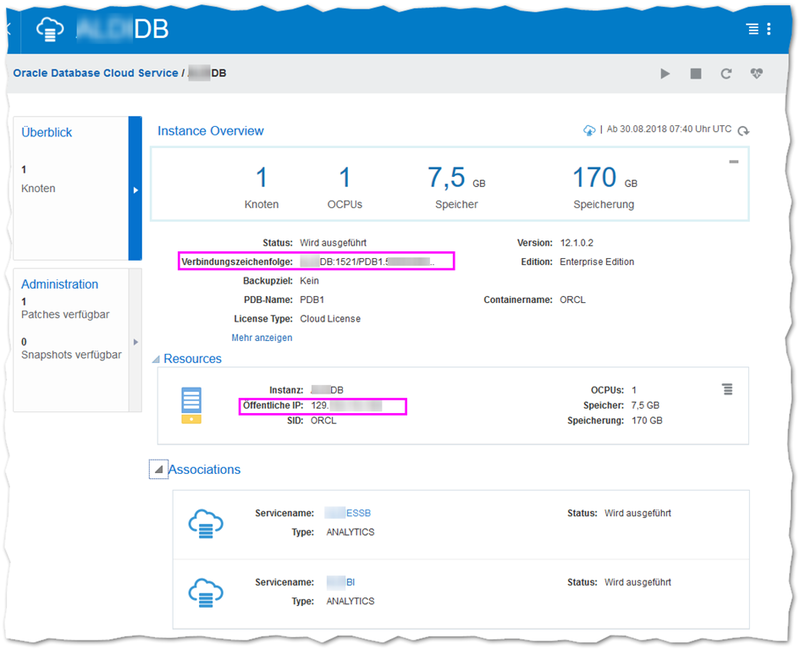 Click on the Action Menu of the Database Cloud Service and select “Open Service Console”. 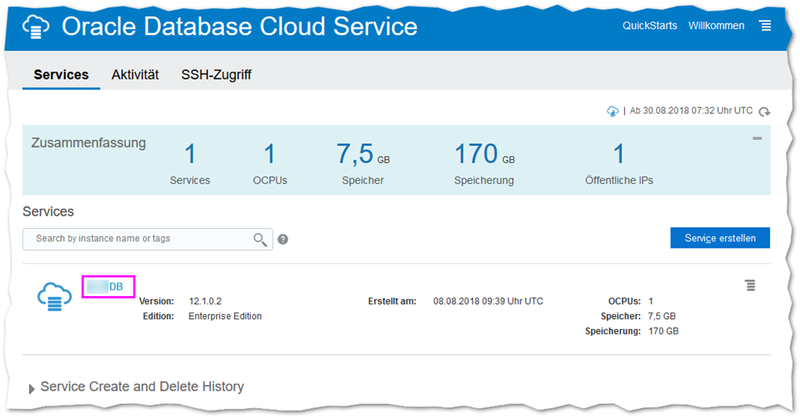 This reveals the Public IP of the Oracle Cloud Database and the required Service Name. 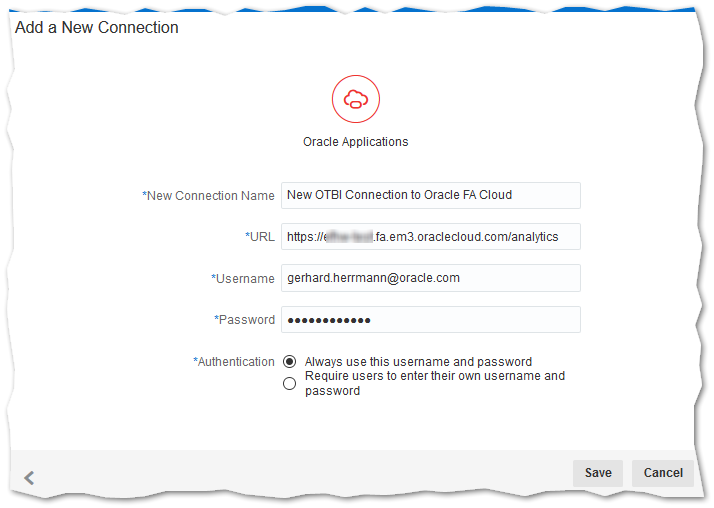 Since March 2017, Oracle also Offers a PaaS Cloud Service with Oracle Analytics Cloud (OAC) which can complement the SaaS Cloud Offering, since it provides a Essbase in the Cloud Service (EssCS). 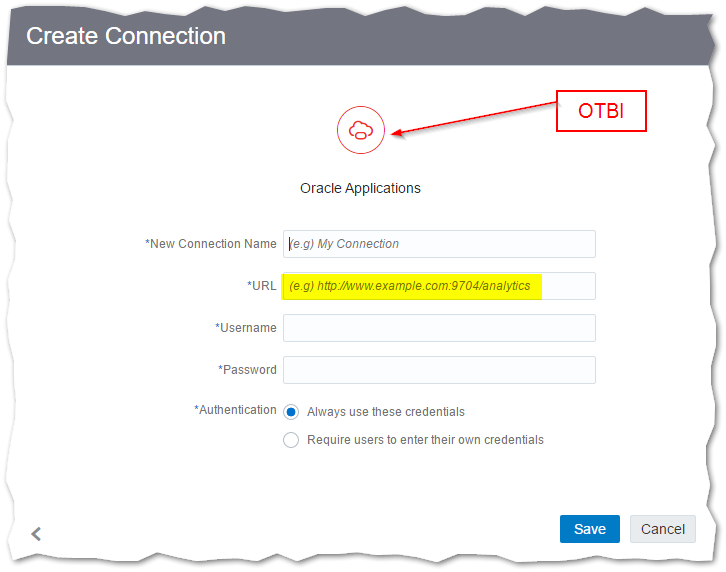 The main purpose of OAC is to provide BI as-well as Essbase (EssCS), within a single Cloud Offering (since Essbase was not available with BICS) for Reporting purposes. 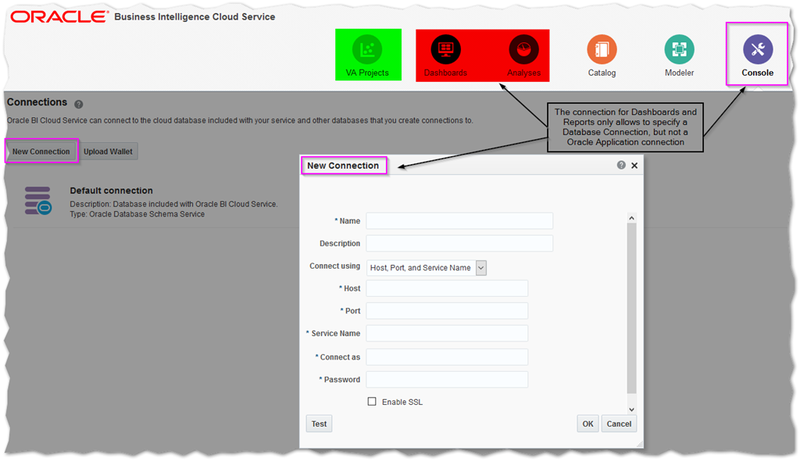 It is also supported to migrate on-Premise Essbase cubes into EssCS. Within EPBCS, Essbase (technology) is also used for Planning purposes. 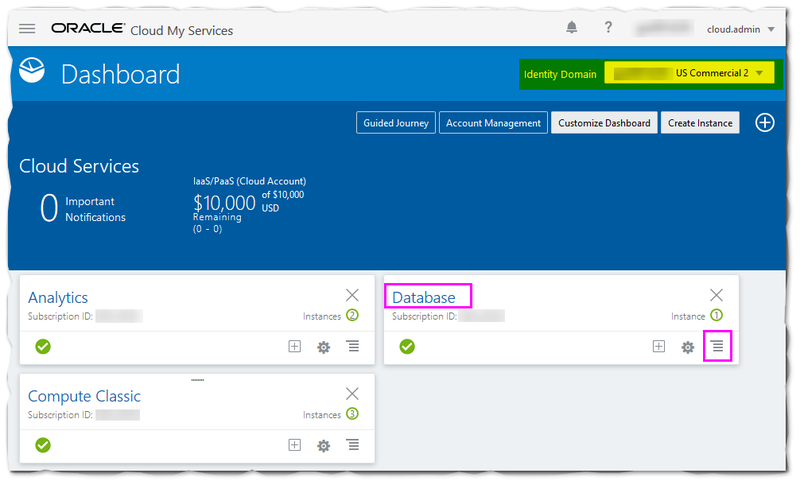 To provide these Planning capabilities, EPBCS not only consists of Essbase cubes, but also relational tables and UI Templates for the Business User to enter the planning data. 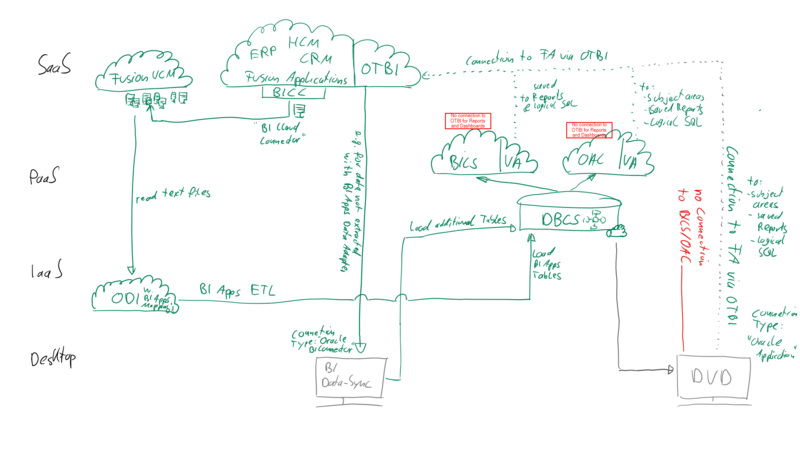 Since, EPBCS is a SaaS service, the underlying Essbase Cube is not accessible directly and can only be accessed with certain exposed interfaces, whereas the Essbase Cubes from EssCS of OAC is completely accessible, since it is a PaaS service on dedicated instance for a particular customer. 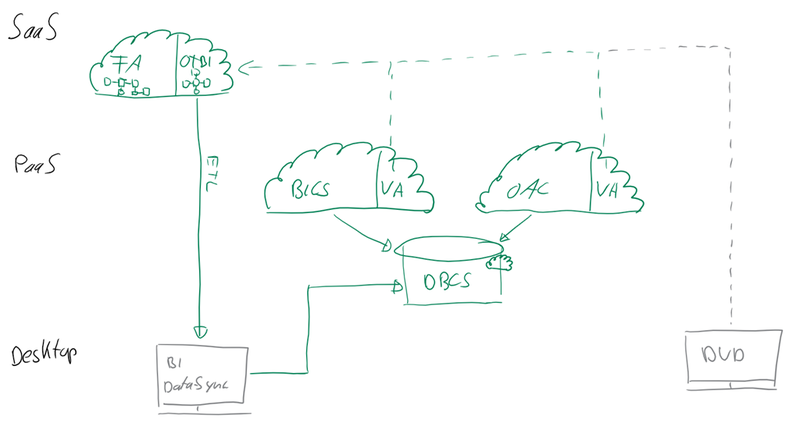 Former Hyperion Planning Applications should be migrated into EPBCS, since this is the equivalent Cloud offering for Planning. 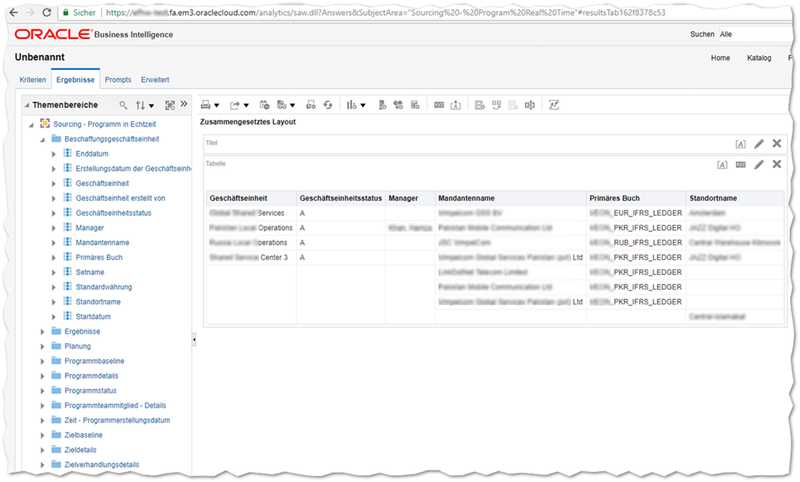 For Reporting purposes of Planning cubes, these can be migrated from EPBCS to EssCS of OAC using EPM automate for extraction and importing via the CLI (Command Line interface). 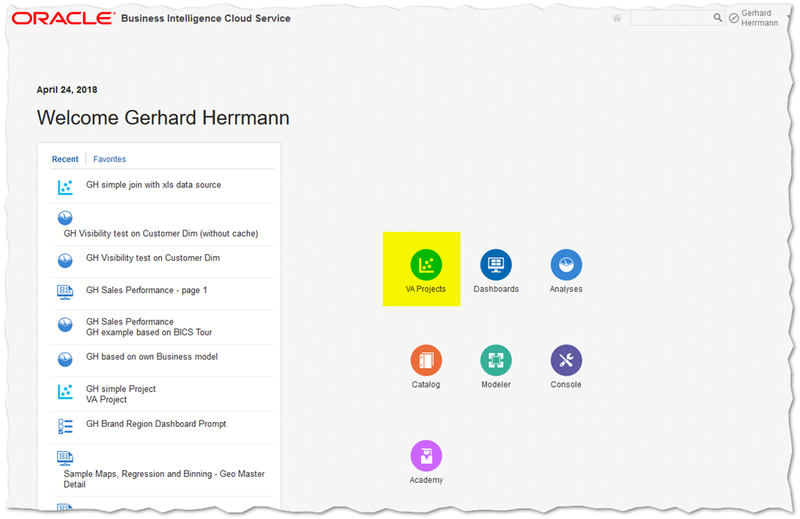 The EPM (SaaS) Cloud also offers a Reporting Cloud Service with EPRCS with a focus on narrative Reporting and XBLR Reports for external stakeholders. 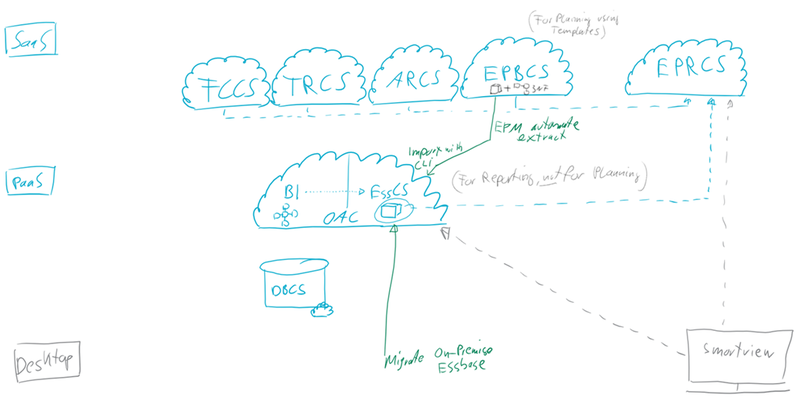 EPRCS can source data from EPBCS, FCCS, TRCS, ARCS as well as EssCS. 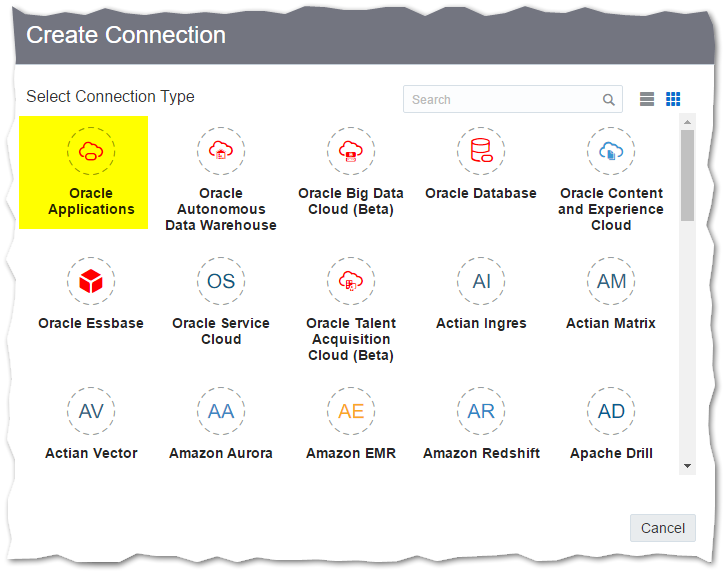 These include enhancements such as, public storage container for data visualizations, enhanced delivers functionality (similar to OBIEE), Oracle Identity Cloud Service integration, Migrate content from Oracle BI Enterprise Edition 11g/12c, Smart View. 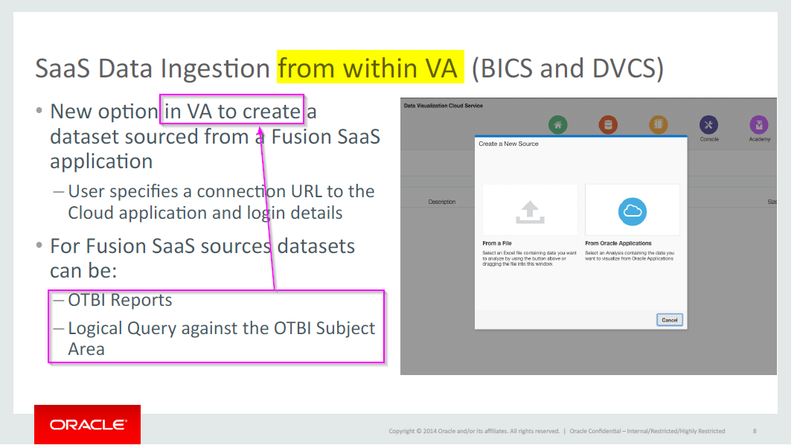 Until today, Oracle BI Publisher was only available as a (SaaS) bundle with Oracle Fusion Applications Cloud and OTBI, see also a previous Article. 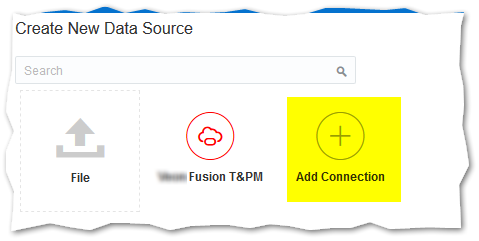 However, with Oracle Analytics Cloud, Oracle BI Publisher is now also available as a “first degree” Platform Cloud Service (PaaS) giving more flexibility especially in terms of Data Sources. 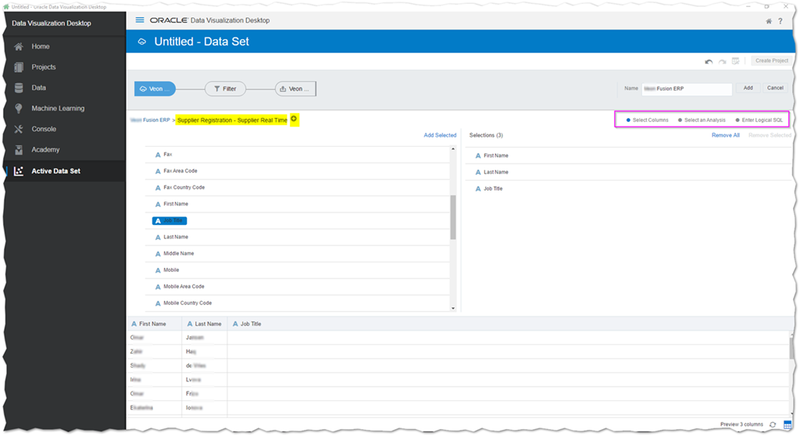 This allows to create highly formatted Reports/Documents such as Invoices, Purchase Orders, Dunning Letters without the context of Oracle Fusion Applications Cloud.